This year, as we have HEARTILY promised in the past, we will be holding a series of games night in the community leading up to WashingCon. The best part of our convention has always been just getting together to try out new games and meet new people, so why wait until September? To start it off this year the WashingCon staff will be back at Port City Brewing Company in Alexandria VA, on Thursday April 25th, with a big honkin’ pile of games of every type. We’ll be there from 6pm until closing time, teaching games, playing a few ourselves and just grabbing a beer with our fellow tabletop players. 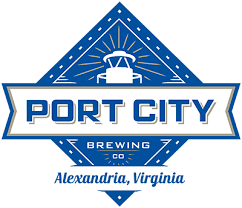 Games start at 6pm in the Brewery, but the Port City tasting room opens at 4pm so feel free to come early, grab some of Virginia’s finest beers and hang out until we show up. This is a FREE event but do us a solid and, if you’re thinking about attending, sign up below so we can let the good folks at Port City know how much space we’ll be needing. Looking forward to seeing you all there!